The sleek, modern alternative to traditional railing systems. Sturdy enough to stand-up against even the strongest winds, simple enough to never block your view. Glass Railing has never looked so good. The classic posts you’ve come to love, but with a twist. 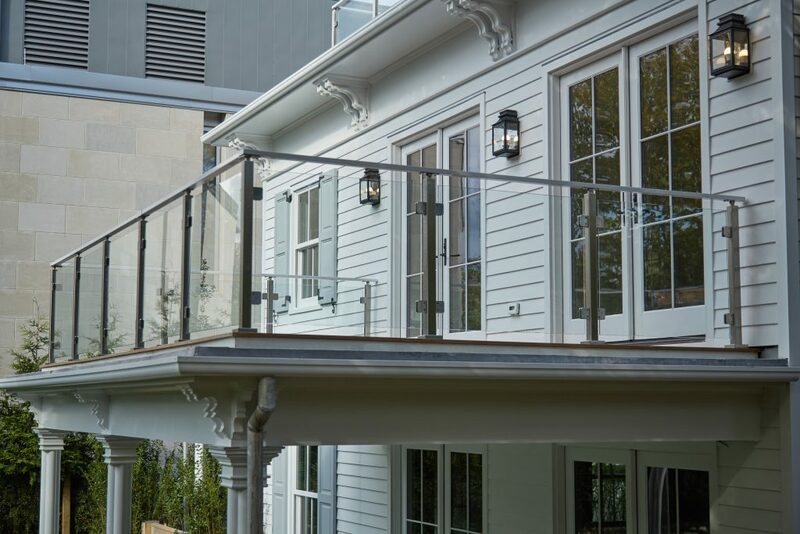 Glass Railing Posts provide all of the reliability and familiarity of our Cable and Rod railing systems. They’re highly customizable, easy to install, and strong enough to handle whatever nature throws at them. This system involves metal posts that have mechanically fastened glass clips that hold the glass in place. The posts need to be placed within four feet of each other. Most of these posts have a handrail bracket at the top where wooden or metal handrail can be attached—which most closely resembles standard railing systems. This category also includes shorter metal posts that can be used in conjunction with glass panels to create barrier glass. The tiny yet mighty Glass Railing system. Glass railing Spigots, or talon spigots, are special clamps that grab onto the bottoms of your glass panels and keep them safe and secure.Installation is a breeze with Tilt-Lock technology that offers two degrees of adjustability after installation. These clamp glass panels in place and keep them there through patented tilt-lock technology. Talon spigots can either be surface mounted or side mounted onto projects. Two spigots are able to hold up each four foot panel of glass. Side-mounted railing elevated to a whole new level. Don’t let their small size fool you: Standoff Pins may be small—just 2” in diameter—but they’re just as strong as other glass railing systems. Their innovative design keeps your panels in place by compressing the space between the glass and the pin itself, allowing for a high level of adjustability during install. Viewrail glass standoff pins weigh 4 pounds and use a threaded bolt to compress the space between the glass and the pin itself. 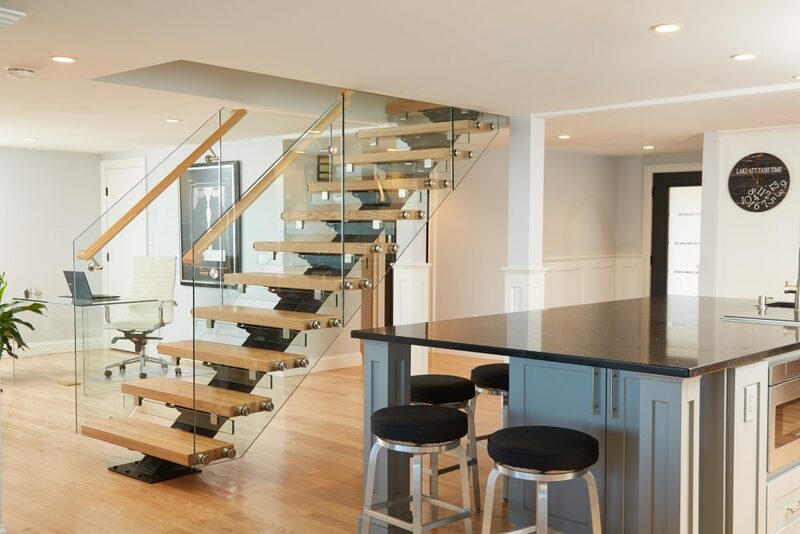 They can easily be bolted onto or recessed into the sides of treads for a polished look.Each of these glass railing styles involves metal systems that are made out of only the most corrosion-resistant material: 2205 Duplex Stainless Steel. This is the metal that is used on deep sea oil rigs. And now also on your glass railing standoffs. Clean lines and clear views. Glass Baserail systems utilize a sleek, simple metal shoe-like channel to mount glass panels along their bottom edge. The Baserail features our exclusive Tilt Lock Technology, allowing you to align your glass exactly where you need it. In addition, Baserail systems are so sturdy, you don’t even need to add a handrail. It’s easy to see why baserail glass is the epitome of modern minimalism. The baserail is available in lengths from 2’ to 14’6” (at all 6” intervals in-between), which gives the latitude to work with varying size constraints. The glass baserail system is one of two glass railing configurations (the other being talon spigots) that use the patented tilt lock technology. Tilt lock is an innovative technology that greatly helps with the installation of glass panels. Normally, in order to install a baserail like this, the installer would have to grout both sides of the glass panels in-between the outer rubber channels in order to make the glass panels sit perpendicular to the ground. They would also have to use grout to align the glass panels with one another. Tilt lock takes the human error out of this process. With so many choices, it’s simple to find the right handrail for you. For a classic look, you can choose metal handrail in either a sleek rectangular shape or an elegant 2” round profile. For harsh exterior conditions, look at the Endurance Series handrail in two profile sizes. If you need to turn a corner, check out the mitered handrail. It’s jointed at a 45 degree angle on both ends and uses brackets to attach to the wall. For indoor projects, browse the 6002 handrail, made from one solid piece of wood. Or the timeless Mission-style handrail — a simple design for any interior project. The Beverage handrail comes in a wide 4” shape with plenty of functional space. Finish Options Choose a brushed stainless finish for either indoor or outdoor projects. The finish removes the shine from the metal, so it won’t reflect harsh outdoor light, but it retains its metallic lustre. Powder coating your handrail is another great option. Once you’ve chosen your profile, select from a variety of finish options. Most handrails are available in a clear finish, but they also come in charcoal, hunter green, light blue, and several other choices — so you can choose the exact finish for you. Style Choices Metal handrail is the perfect choice for outdoor projects — or classic indoor looks. Check out a variety of wood handrail options for indoor projects — or Endurance series wood handrail for outdoor ones. You can also order in round or square profiles, depending on your style preference.